Naija News reports that the special assistant to President Muhammadu Buhari on Social Media, Lauretta Onochie, made this comment on the micro-blogging site, on Tuesday evening. Onochie said she saw a photo of Abubakar, who lost the presidential election on February 23rd, with some weird inscriptions on it, calling on the PDP Presidential candidate to counsel himself to avoid being tried for treason. Although she didn’t mention what the inscriptions on Abubakar’s photo were, the Presidential aide, however, advised the Presidential candidate to face his court case to challenge Buhari’s victory rather than stirring up mischief. Her words: “I just returned to Abuja and saw Atiku’s photos with some weird inscriptions. 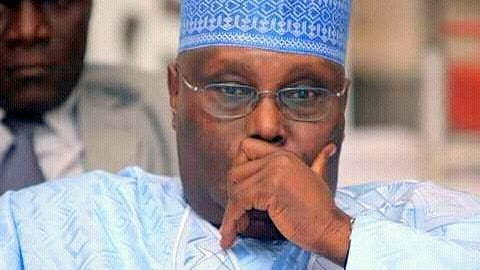 “After foot-dragging, Atiku has now managed to go to court. It’s in the best interest of the nation that he continues in that legal path instead of stirring mischief,” She wrote on Twitter on Tuesday.